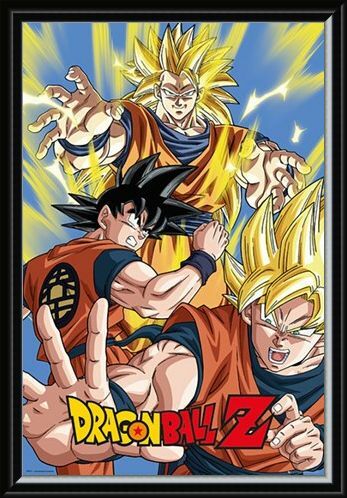 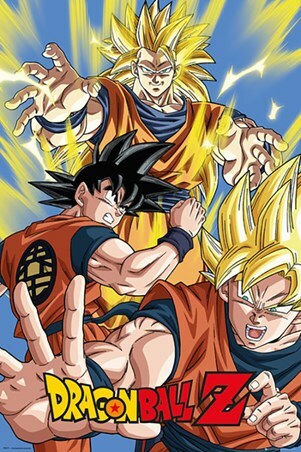 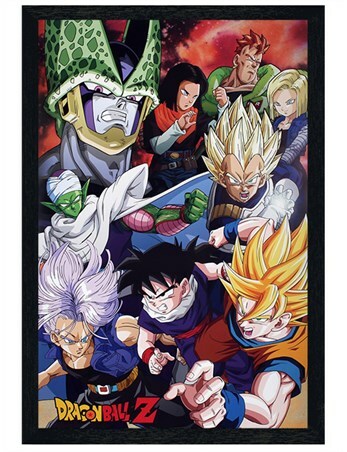 Anime Television Maxi Poster: If you loved the animated work of Toei Animation in their hit series of Dragon Ball Z you are going to want to get your hands on this! Dragon Ball Z became a series which was released in 1989 following our hero Goku on his mission to protect the Earth. 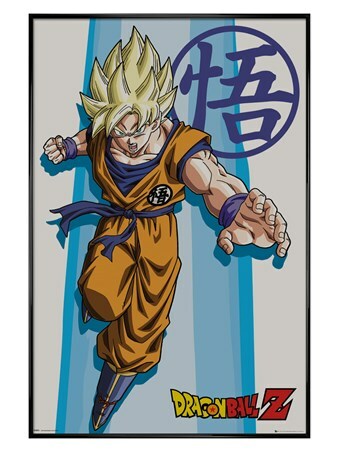 This impressive and colourful poster illustrates our protagonist in his normal and fabled Super Saiyan form, making this a great addition to any fans collection. 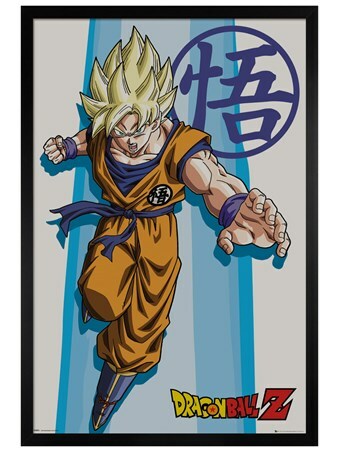 High quality, framed Super Saiyan Goku, Dragon Ball Z poster with a bespoke frame by our custom framing service.